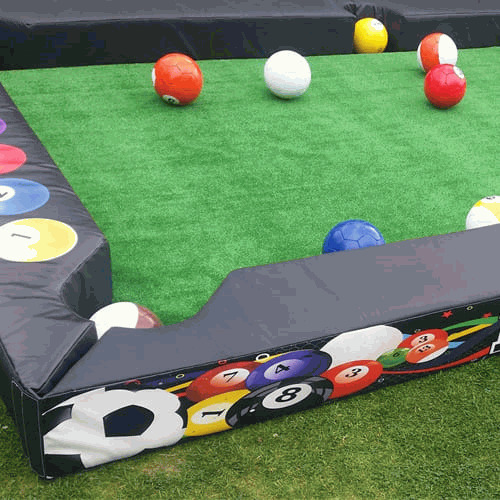 Footpool is suitable for use by people of all ages and can be played indoors or outside.The game combines Football with Pool and is played by two participants at time. It follows the same rules as pool where taking it in turns one player will try to pot all the striped balls while the other the spotted balls before they move on to the final black to win the game. Instead of using a cue you stand on the 'table' and kick the white ball against your balls to knock them into the pockets.